BELLVILLE — The Bellville Neighborhood Outreach Center has again joined forces with the Meijer Simply Give hunger relief program. The campaign will help put food on the tables of our local families in-need. “The BNOC serves 110 square miles in the Clear Fork Valley. We usually see around 180 clients per month, which supports more than 500 individuals who are in need,” said Carol Hoeflich, the BNOC’s food manager. Each Simply Give campaign helps more than 240 food pantries in Michigan, Illinois, Indiana, Ohio, Kentucky and Wisconsin keep their shelves stocked. 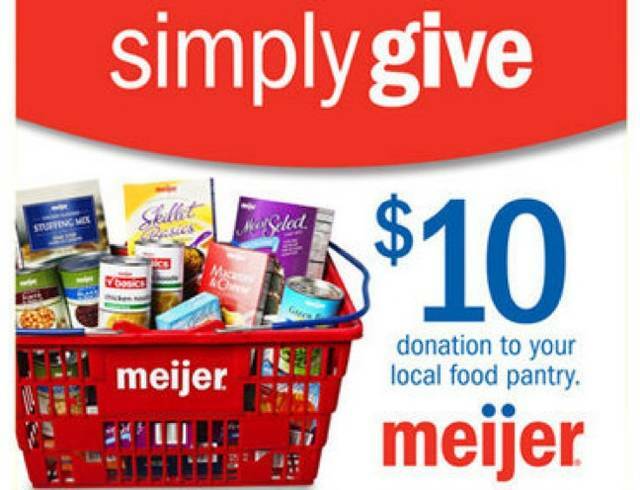 Each campaign also fosters a sense of community by encouraging customers to purchase $10 Simply Give donation cards, which are then converted into Meijer food-only gift cards and given to a local food pantry selected by the store. BNOC will benefit from donation cards purchased at Meijer, 1355 N. Lexington-Springmill Road. The effort started Nov. 18 and runs thorugh Dec. 29. On Friday, Dec. 7, every Simply Give donation will be doubled. “We encourage community members to help us fulfill our mission of feeding the hungry in the Clear Fork Valley by purchasing a food donation card during your next shopping trip. Tell your friends, relatives, neighbors and co-workers because every dollar makes a difference,” Hoeflich said.